Rumors of a Kinect-centric Gears of War game had been circulating for years after Microsoft introduced the motion-control sensor to the world. One game called Gears of War: Exile was confirmed as cancelled two years ago. But, what looks like footage of another gesture-based Gears game has surfaced. It… it doesn't look good. Embedded in an oddly worded post on VGLeaks, a two-minute clip shows what appears to be a segment of a Gears of War strategy game that would have been controlled by the Kinect sensor. Gameplay is viewed from a top-down perspective, with squad placement and movement controlled by player gestures. Of course, there's every chance that this could be an elaborate fake. But Microsoft does have a history of trying to create motion-controlled spin-offs for its more traditional controller-based franchises, like Fable: The Journey. 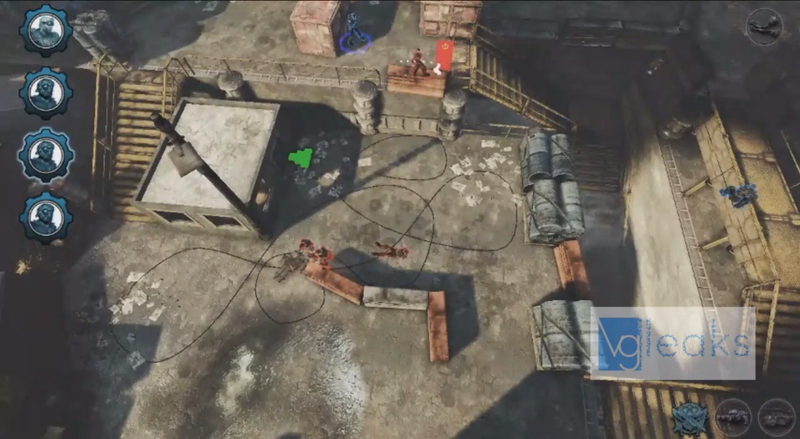 Looking at this footage makes it clear why Gears of War: Tactics never saw the light of day. What's on display here doesn't capture the gritty, despereate vibe that makes the Gears games fun or unique. It looks like Delta Squad in a game that they weren't made for.